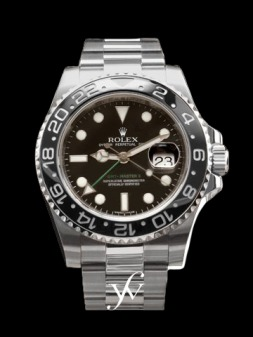 A hallmark of Rolex is its continuity in design. The models produced several decades ago still have the same outer appearance (though internal pieces are of course improved and upgraded). This faithfulness to tradition helps to give Rolex its reputation. Rolex's production is limited to about 650,000 watches a year, based on industry estimates. This is below market demand, but it allows the company to maintain its high standards in quality control. * In 1910, Rolex was awarded the world's first wrist watch chronometer rating. This recognition assured the accuracy of his watches was achieved, so Wilsdorf turned to improving reliability. * The company created the first waterproof watch, the Oyster, in 1926 and their clever publicity campaign (a watch submerged in an aquarium) helped to catapult the company to international fame. * In 1931, the company invented the "Rotor" - a semi-circular plate of metal that, using gravity, will move freely to wind the watch. The result was the invention of the "perpetual" (automatic) movement. * The Datejust was created in 1945. This was the first watch to display the date automatically. Ten years later, the Oyster GMT Master became the first watch to allow two time zones to be displayed. Oyster: Perpetual Air-King This classic masterpiece is produced in steel with an oyster bracelet. It is a self-winding and waterproof (100 meters) timepiece that is one of the top sellers for the company. The dial is blue with a polished bezel. Cellini: Quartz This lady's sized watch may be small, but the clean lines and sophistication give it a bold presence that is both pleasing to the eye and reliably Rolex. It has a champagne dial with Arabic numerals. The quartz movement is set in an 18 carat yellow cold case on a Damier bracelet. Oyster Professional: Submariner Date Although it would appear too elegant to risk getting it wet, this watch was designed to do just that. It is a diver's dream come true. Waterproof at 300 meters, this self-winding timepiece has a black dial, black rotate able bezel, oyster fliplock bracelet and extension links.